Update: July 23, 2018 at 8:43 a.m.- Reyna Yamileth Ortega has been located safe and unharmed. Reyna Yamileth Ortega, age 16, of Misty Meadow Terrace, has been reported missing by her family. Ortega is described as a Hispanic female, 4’ 11” tall, and weighing 95 pounds. She has dark brown hair worn in braids and brown eyes. Ortega was last seen wearing a white shirt and gray shorts. Police and family are concerned for Ortega’s welfare. 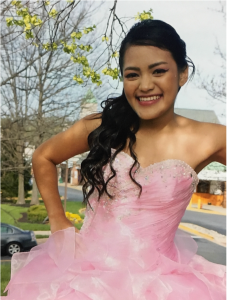 Anyone who has information regarding the whereabouts of Reyna Yamileth Ortega is asked to call the Montgomery County Police Special Victims Investigations Division at 240-773-5400 or the police non-emergency number at 301-279-8000 (24 hours).